Pendleton, Oregon — The drive from Walla Walla, Washington to Pendleton, Oregon is not a long one, just under an hour. 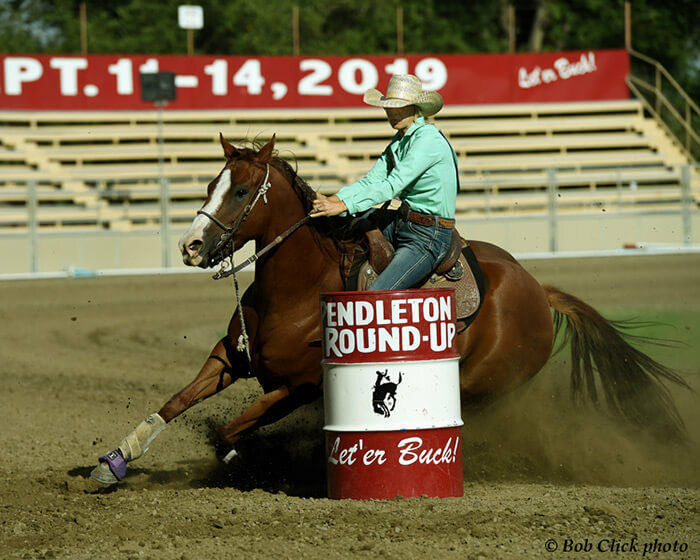 Thanks to the close proximity, Walla Walla cowgirl Kacey Gartner has been to the world famous Pendleton Round-Up many times. However, in most of her previous trips, she spent the time at Round-Up in the grandstands, not riding around on the grass for which the rodeo is known.